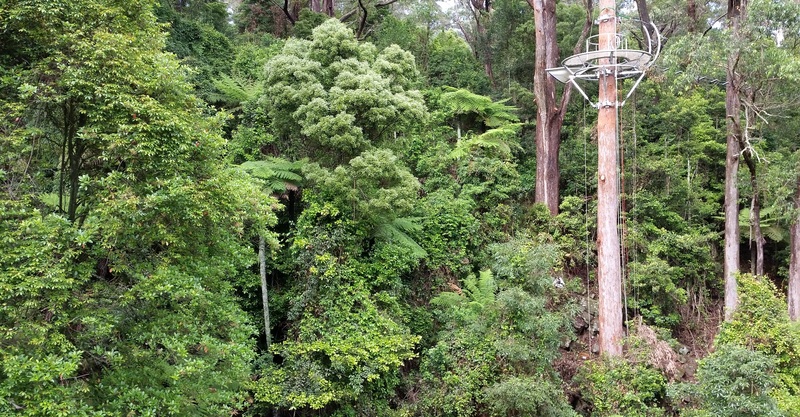 Just before Christmas of 2014 the Merlin Entertainments Group invested AUD$1m to activate the skyscape of their Southern Highland Treetop Walk with Australia's first boutique high-end adventure canopy tour - a beautifully packaged high-profile rainforest experience that marries seamlessly with the existing world-class treetop walk. 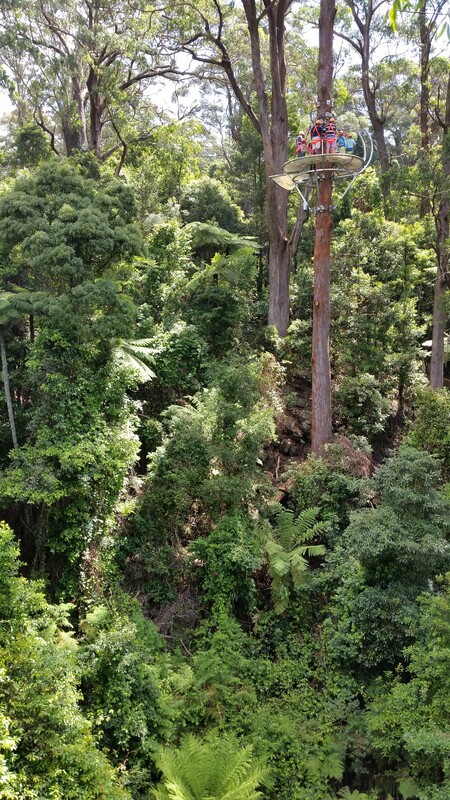 The Canopy Tour is built upon the escarpment of Knights Hill (near Robertson) 700m above sea leavel and consists of 50m of suspention bridges and three Ziplines. 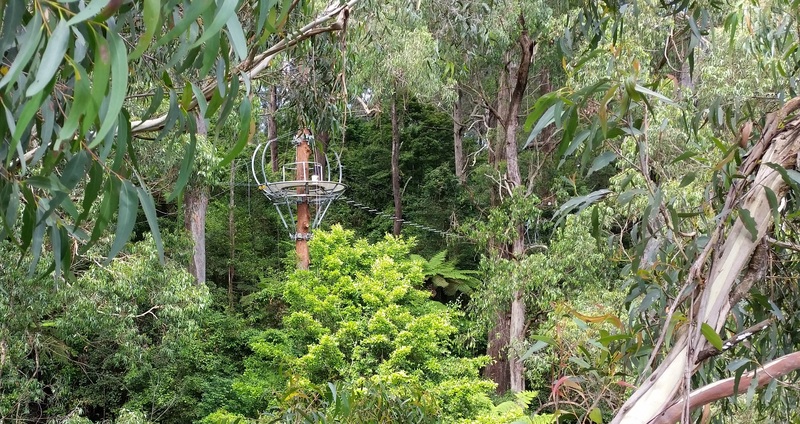 Being in easy reach from Sydney this forest experience is ideal for familiies, schools, couples and retirees, this adventure experience will entertain, inspire and educate all who dare. 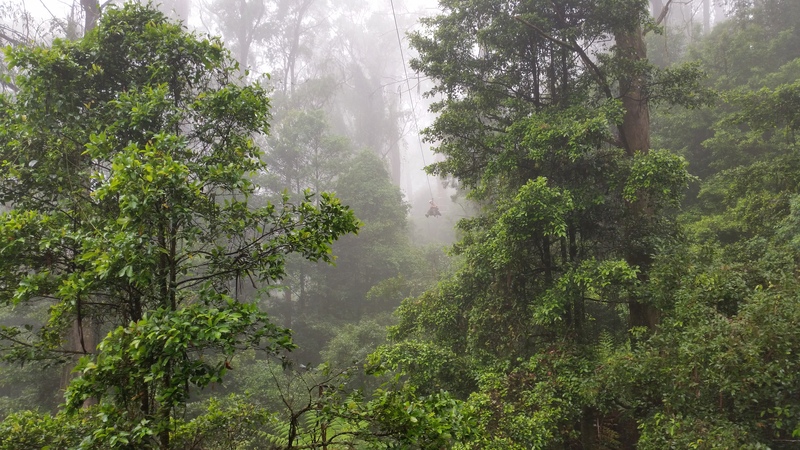 A truely uplifting and memorable experience, whether in rain, cloud or sunshine. 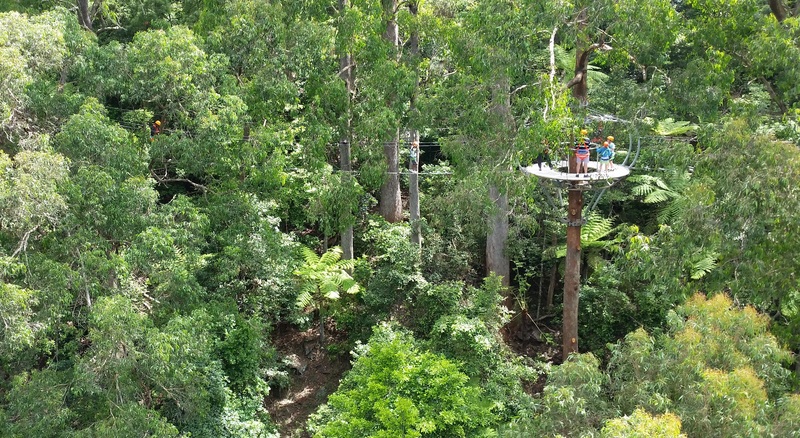 Illawarra Fly's world-class Canopy Tour is unique in that whilst it immerses guests high within the canopy of an warm temperate escapment rainforsest it can be easily viewed by visitors walking on the nearby treetop walk. 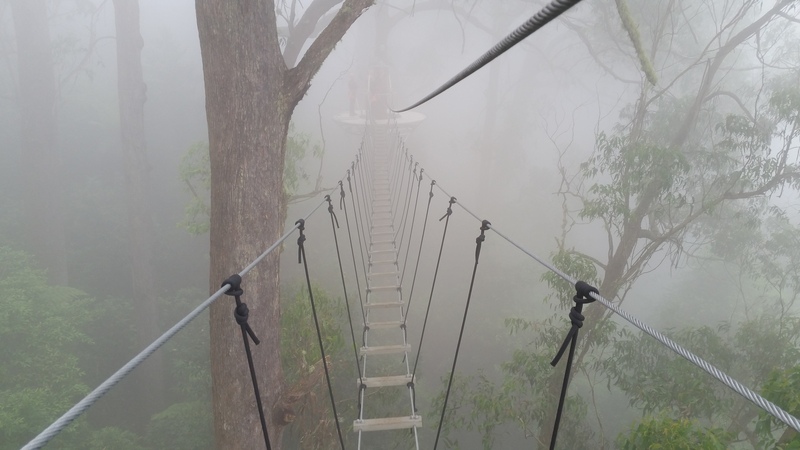 This unique feature permits non-zipping familiy and friends of zipline participants to 'share' the experience, to engage with and be part of the adventure. 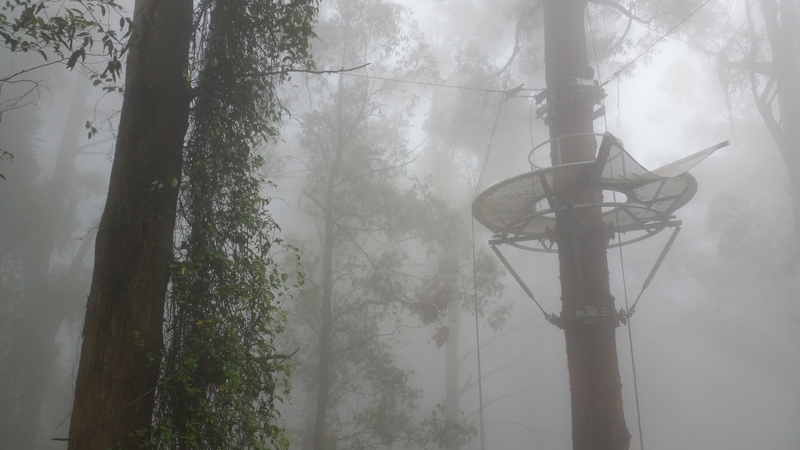 TouchCloud's Association: Route Survey, Design, Engineering, Fabrication, Installation, Testing, Guide Competency Based Training and Assessing, Written Risk Management Strategy, Safety Inspections and Servicing.